When it comes to adjectives that describe his art, Sankar Sridhar likes to be associated with the word ‘slow’. For that’s the kind of photographer he is, taking a fortnight or longer getting to know his subjects before he photographs them. He usually clicks people whose lives are far removed from his own because of the unique perspective it provides for his lens. 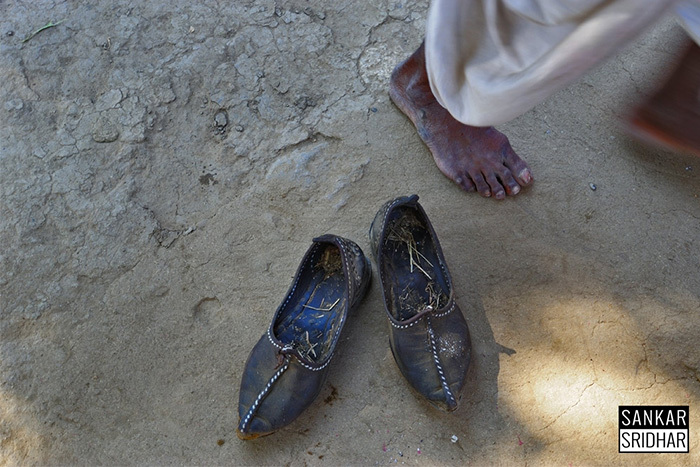 For a Rabari elder, walking barefoot is more comfortable than wearing shoes. “You feel the earth without shoes and only grit and thorns with them”, he explains. What usually brings the subject to your attention? 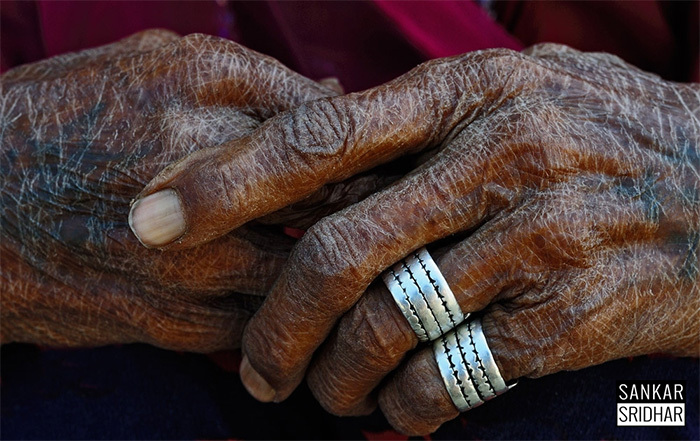 Creased, calloused and flaking, the hands of a Rabari woman reveal the toll that work and weather takes on the life of a nomad. 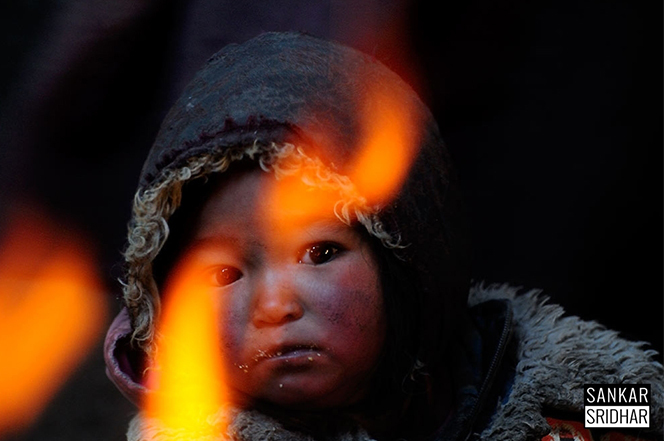 Changpa children are sometimes left in front of open fires while their mothers go to fetch water. 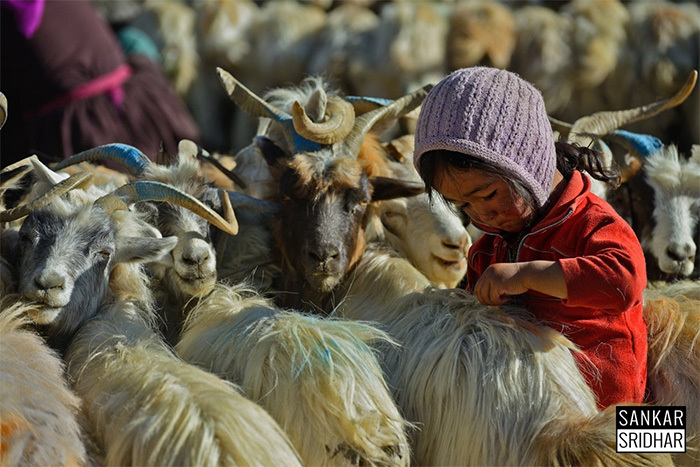 Younger children are kept in the corrals with the goats, where they are warmed by the animals’ body heat. Which subject has left a lasting impact on you?